So, yeah. Bought the Fate Stay/Night box set on a whim today and ended up watching two discs in a row…WAM almost didn’t get done. Heh. Gotta love the ‘Oh Crap!’ loss of time moment. Heh. But it did. That’s all that matters. It seems that Mordred is about to make clear that no one is allowed to discipline his lackey except him. I like Mordred because I’m never quite sure how he’s going to react. He seemed amused at the start of the fight, which led me to believe he’d enjoy the antics. Now he’s irritated. Is he as unpredictable as Driver is jealous? Only the next comic will answer that. Dun dun dun. 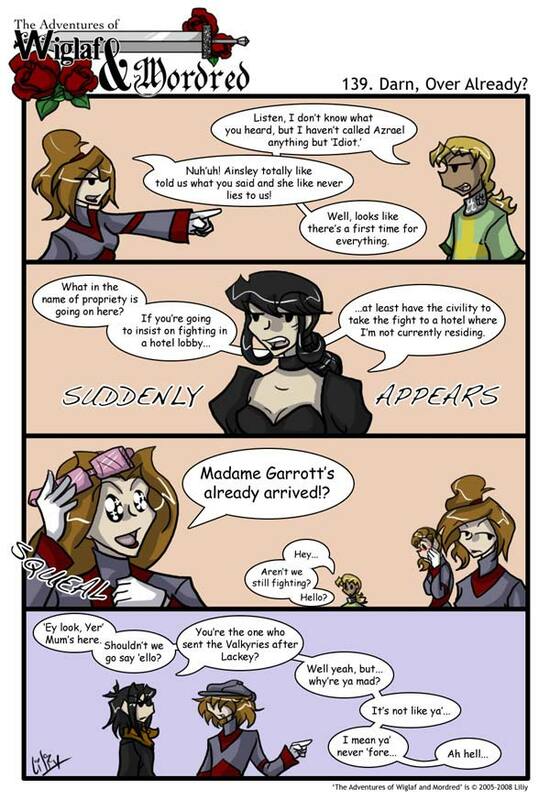 XD Love the “SUDDENLY APPEARS” and “SQUEAL”.